Mystica has been build on an excellent piece of property overlooking the lake. The ambiance is relaxing, peaceful and mystical. It’s a intimate true tropical hideaway. 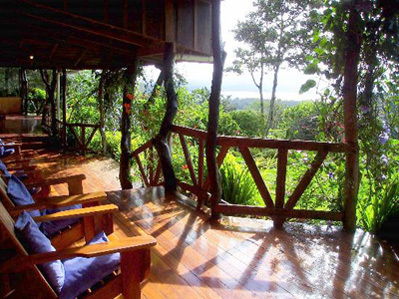 Rising on a hill in the lush valley overlooking the vast Arenal Lake and impressive, active Volcano, this magical oasis has breathtaking views. . It is in a fairly remote area about 1.5 hrs from Liberia airport, so you need a vehicle (or need to arrange transportation through the lodge itself) to go even to the local town , which is about 15 min by car. Mystica exudes tranquility and offers a welcoming and nurturing environment in which to take a break from a busy lifestyle. There are beautiful fruit trees and exotic flowers in their organic garden. Another interesting feature of Mystica is its natural pool. So come and refresh yourself. The tree-house has a healing environment. And the sanctuary by the river is waiting there to make your calm and relaxed. Rejuvenate yourself with their healing massage and get your inner-self awaken through the practice of Yoga. 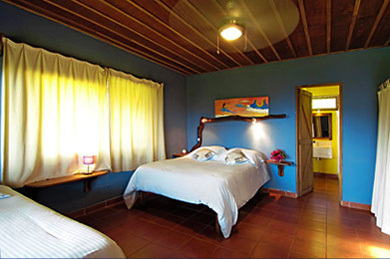 There are six beautiful rooms in the main lodge at Mystica. All these rooms have attached bathrooms, fully equipped. They have used names of the beautiful local animals while selecting names for the rooms. Combining warm atmosphere with comfort and cleanliness, they have designed each room as comfortable as possible. 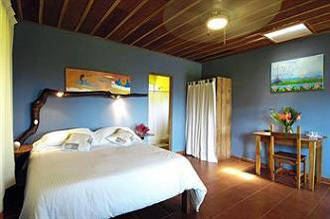 To make the rooms Eco-friendly, the have used the constant natural breeze and fresh typical climate of the area. So there is no need of air conditioning. But to ensure highest level of comfort there is a ceiling fan in each room. A maximum of four people can easily stay in each spacious room. 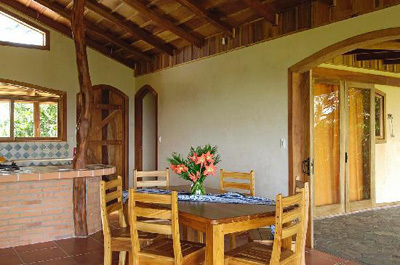 There is fully furnished well decorated private villa just a few steps away from the lodge. This is a perfect hideaway, romantic and comfortable. This spacious villa has all the facilities you have been craving. There is a fully equipped kitchen in this villa. The bathroom is beautifully tiled and has a large shower. Another great feature of this villa is its outdoor shower. You can enjoy sunsets and sunrises from the open terrace which has a hammock. Mystica not only hosts many Retreats in Costa Rica through the year, but also offers classes with our own experienced Yoga instructors. If the instructor wants to combine Yoga with Healing, Massage and Adventures, he or she can easily customized the retreats as Mystica has all these facilities. 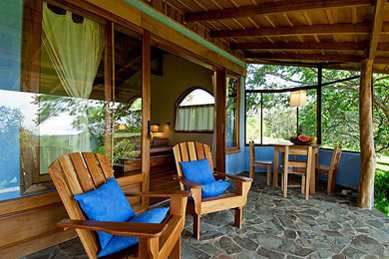 La Esencia, a Yoga sanctuary by the river, is one of the most important features of Mystica Lodge Retreats. This spacious, covered, wooden platform is perfect not only for practicing yoga but also for simply enjoying relaxation. The forest provides an extraordinarily beautiful and unforgettable ambiance here. They offer early morning Yoga sessions open for the guest and the community. 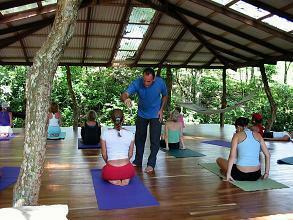 Their experienced and friendly resident yoga instructors will guide you during these sessions. They have designed the sessions blending traditional Yoga practice with Vinyasa techniques. These sessions are designed such in a way that beginners will get a perfect start here. On the other hand, advanced level practitioners will find something very challenging.